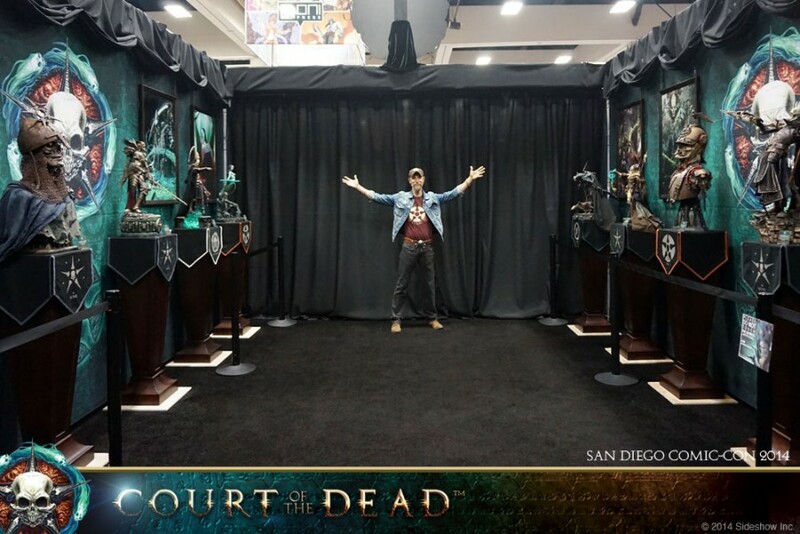 Our team is proud to invite San Diego Comic-Con attendees to visit the Court of the Dead gallery, located at Sideshow’s booth #1929. With the stage set, and additional ambiance provided by an original musical score composed by Cris Velasco, we’re proud to unveil a curated selection of new original artwork and 3d prototypes for a true spectacle of intrigue and dark delight. Take a look in the gallery below.